Prostate cancer screenings will be offered on Thursday night at Yankee Stadium prior to and during the Yankees' 7:05 p.m. game against the Boston Red Sox. This is the eighth consecutive year that the Yankees have teamed up with New York-Presbyterian, Columbia University Medical Center, Weill Cornell Medicine and Ed Randall’s Fans for the Cure (fans4thecure.org), to save the lives of their fans and employees from prostate cancer during Prostate Cancer Awareness Month by offering a free screening. Ticketed fans, game day employees and media members 40 years of age and older are encouraged to visit the area near Main Level Section 220 on Thursday night, where medical personnel under the direction of Dr. James McKiernan, Urologist-in-Chief, New York-Presbyterian/Columbia University Medical Center, will be standing by to administer quick and simple PSA blood tests to all who request one. Those fans will have the option of continuing on to the first aid room across the hall to take a digital rectal exam, a highly accurate marker for the disease. The first 300 men over age 40 who respond to this call to action will receive a voucher good for two complimentary tickets to select home games during the 2019 season, based on availability. 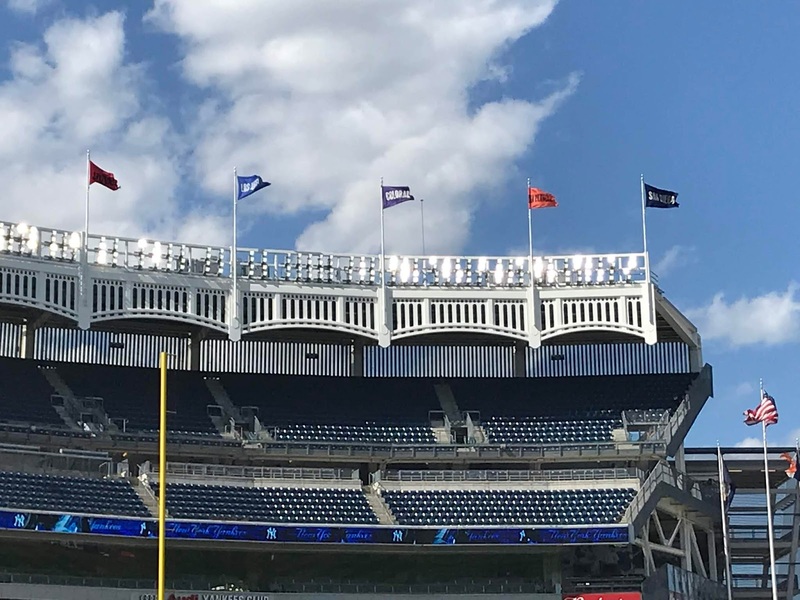 Prostate cancer is the most prevalent non-skin cancer with more than 160,000 men expected to be diagnosed this year, more than enough to fill every seat in three Yankee Stadiums. While a serious disease, prostate cancer is treatable. Over 2.9 million men who have been diagnosed are living today. Men with certain racial and family profiles (African-Americans, or sons, brothers, or fathers of a man who has been diagnosed with prostate cancer) should establish base line PSA tests while in their 40s. When detected early — when it is most treatable with the greatest variety of options — non-aggressive prostate cancer has a cure rate that exceeds 99%. Ed Randall’s Fans for the Cure (www.fans4thecure.org) is a 501c3 charity dedicated to helping men recognize the risks of prostate cancer and the immense value of early detection in both extending and saving their lives. The charity coordinates PSA screenings, sponsors medical seminars, offers physician and hospital referrals and provides educational materials (online and hard copy). Ed Randall. Photo by Jason Schott.